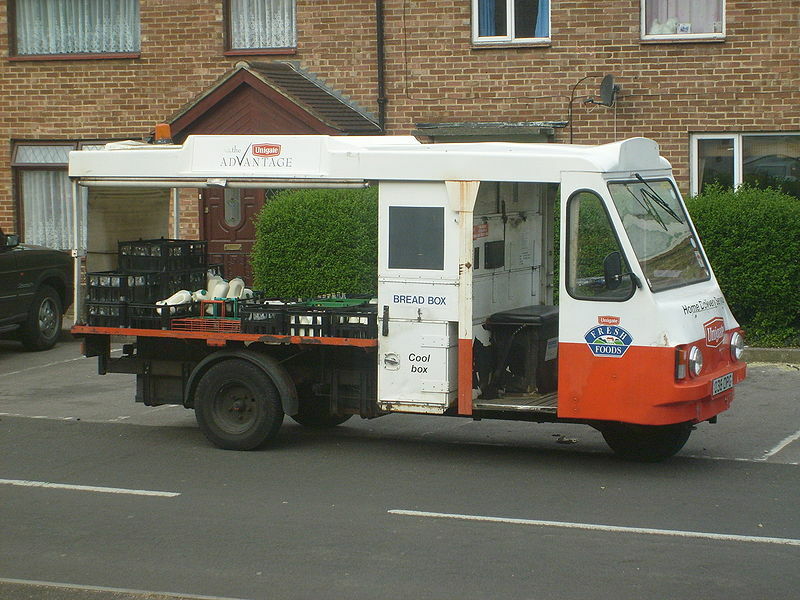 At the age of about 10, I managed to get a job on the milkman’s float, delivering milk. His float was an electric affair, with no doors and no seat belts. Its sole aim was to allow you to jump out quickly to do the deliveries and get back in. It had to be plugged in, at the end of the round, to allow the batteries to recharge. Electric vehicles, almost 60 years ago! He would call at 6am and I would be on his round. It seemed a huge round and still does. It covered the Roundhill area, down to Lewes Road and then up Elm Grove. We called in at the roads off to the left, and then down Elm Grove, taking in the side roads. Then we went back home; it must have taken about five or six hours. There were three sorts of milks offered: silver top (which was just plain ‘milk’; gold top (which was creamier) and red top ( I can’t remember what that was, but I think it may have been cream). Apart from the routine deliveries, you had to be on the lookout for messages tucked into the top of the empty bottles on the doorstep. Most would read things like, ‘One extra pint, today, please’ or ‘No milk today, thank you.’ Some were much more ambiguous. Did ‘one gold top, please’ mean a) leave one extra bottle of gold top, as well as the other, silver ones, or b) forget what I normally have and deliver a pint of gold top? It all worked out in the end. Most of all, though, it was so boring. 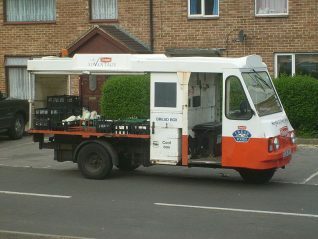 The milkman wasn’t a bundle of laughs, either. Most households in those days had their milk delivered and movement along the road was very slow. The milkman could carry four bottles of milk in each hand. I struggled with two in each hand. I used to dread getting to Elm Grove, knowing that there were still so many houses to call at. In the snow, the milkman put chains on the wheels, to aid grip. They made for a bumpy ride. I was given a small amount of money for doing this. In the end, the milkman thought I wasn’t up to the job and I was fired. It came as something of a relief. My next job, a few years later, was delivering boxes of fruit and vegetables on Saturday mornings. I worked for a small greengrocers in London Road, almost underneath the huge railway viaduct. The man who owned the shop would make up various boxes of produce, from lists handed in. Most of the customers were regulars. My job was to put a box on the handlebars of my bike and push the box to the right house. I then freewheeled back to the shop to pick up the new load. It was sometimes a tricky job, especially with bigger boxes. At least once every Saturday, I had to go up to the very top of Preston Park Avenue to make a delivery. Generally, I enjoyed it. I had some autonomy and no one was watching over my shoulder. If there ever were slack moments, I was allowed to serve in the shop; it didn’t happen very often. I was paid more, for this job and it enabled me to buy bits and pieces for my old bike, before I moved upmarket to a full racing bike and to races at the Preston Park track – the track that I once used to pass on my delivery round.